Benjamin & Company was founded in 2003 on strong, honest New England values passed down through generations: Ben Hemberger’s father, an architect with deep passion for his work and commitment to his projects, inspired Ben’s his own career in construction. Today, our entire team brings those same principles–hard work, integrity, and fine craftsmanship–to every phase of every project. Growing up around the industry, Ben had many part time gigs as a craftsman’s helper. After high school in New Hampshire’s Upper Valley, he took a break from building and earned a degree in computer science from Hampshire College in Massachusetts, but realized quickly that he’d rather not have an office job. He dabbled in cooking and boat building—and even tried combining the two as a chef on a sailing vessel—before finally returning to his roots in residential construction. After learning the craft from some of Maine’s best-known timber framers and builders, Ben set out to build a company of his own, earning himself an office job in the process. Fortunately, while guiding a small business takes many hours at the desk, Ben’s enthusiasm for hands-on work won’t allow for a day to pass without some time spent behind the hammer or chisel, or a visit to the jobsite to check in with the crew. A lifelong student of both design and building science, Ben spent several years as a part-time student at the UMaine Augusta School of Architecture and has completed a 10-week online class on Net Zero Energy Homes through Northeast Sustainable Energy Association (NESEA). When he’s not hard at work in the office, driving the company truck, or deftly cleaning out a mortise on an 8×10 principal post, Ben is probably coaching hockey, or baseball, or soccer, or he’s outside enjoying Maine’s four seasons with his wife and three kids. A native of Mount Desert Island, Corey has been around construction sites since he was old enough pick up bent nails. Though he showed early promise as a nail-picker-upper, Corey is not one to rest on his laurels, and he quickly moved up through the ranks, working for many esteemed carpenters and contractors (including himself) in the process. With expertise in a broad range of materials and methods and an innate drive to maximize efficiency at all levels of work, Corey works with the speed and skill of many carpenters twice his age. His ability to visualize a project from foundation to fixtures, combined with a commitment to quality work as unyielding as any MDI granite, is rare at any age. As BenCo’s Lead Carpenter, Corey is responsible for seeing and solving problems before they exist in the real world, as well as ordering materials, interfacing with architects and designers, and yes, even picking up the occasional bent nail. When he’s not swinging a 14oz Stiletto, listening to music so cutting edge that it doesn’t exist yet, or polishing his new tractor until it glows like a sodium streetlight, Corey is enjoying family life with his wife and their two young kids, and maybe even working on his own high-performance home. Though Jesse hails from land-locked southwestern New Hampshire, he heard and heeded the call of the ocean. A graduate of both boat building school and years spent living aboard his own sailing vessel in and around Portland Harbor, he has finally settled down to a life near the water—and, conveniently, very close to BenCo headquarters—in Brunswick. In addition to honing his enviable finish carpentry chops on countless high-end homes in Maine, Jesse is a nearly 20-year veteran of the Structural Insulated Panel industry, and our resident expert in panel fabrication, installation, and modification. While he’s not afraid to climb up on a roof with a sheet or two of plywood, these days Jesse tackles many of our most demanding trim jobs and stair and railing installations. With a keen eye for detail and an encyclopedic knowledge of the behaviors of wood, Jesse has the skill, patience, and talent to take any project from far-flung fantasy to exquisitely constructed reality fit for the finest home—or even the finest yacht. When he’s not curating his collection of salvaged wood, building pedestals for his wife’s floral design business, or wearing his tool belt around on a Sunday afternoon at his own house, one might find Jesse enjoying a fine Belgian stout by a backyard campfire. Another New Hampshire native, Sam has loved working with his hands since he built wooden models of a house and a vintage speedboat under the guidance of a caring first-grade teacher. In high school, however, other interests prevailed, and he spent most of his time either playing the drums or cross-country skiing. After graduating from Williams College in 2009 with a degree in Religion and having completed his pre-medical coursework, Sam took the next logical step, and joined a rock band. Nearly four years on the road and in the studio with the band proved to be long enough, however, and in 2012 Sam followed his longtime girlfriend–and now wife–to Maine, and finally followed the long-simmering passion for power tools and building houses that he’d first kindled way back in the first grade. When he’s not buried in the latest issue of Fine Homebuilding, outside running, skiing, and/or taking photographs, or listening to the kind of indie music that no one else on the jobsite would tolerate even from the other side of a double-stud, dense-pack insulated exterior wall, Sam is definitely not working on his own house, because that’s nearly impossible when there’s a cute baby living in it. When our headhunters found Pat working in something called “Mainframe Support” for a major computing company, we knew we had to add his skillset to the team. Originally from southern New England, Pat graduated from Siena College in upstate New York in 2006, and moved to western Maine before settling down in Freeport. 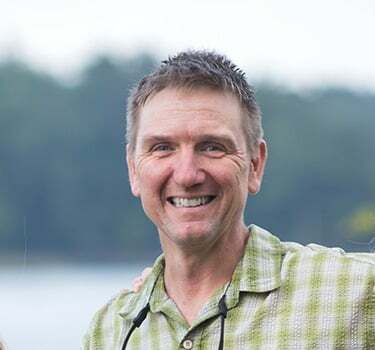 At some point, he felt that he needed even more Maine framing in his life, so Pat threw himself into the art and practice of timber framing shortly before starting his tenure at BenCo. While cutting and raising frames remains his true passion, Pat has proven himself to be an exceptionally capable carpenter through all of the phases of residential construction, including the parts that include part numbers, like maintaining pneumatic nailers and fixing broken power planers. It’s always easy to recognize him around the site; just watch for a sharp glint of steel from his hand tools, which he keeps razor-sharp with the help of a jealousy-inducing Tormek wet grinder he found on Craigslist. When he’s not wielding a two-inch Barr chisel over the weekend, scouring Craigslist for the latest steal on partly-functioning machinery at lunch, or ripping the cabinets out of his kitchen to kickstart a remodel, one might find Pat and his wife on a dirt road in the middle of Maine camping and fishing with their dogs in tow. In the fall of 2016, with two houses under construction and only one eight-foot stepladder in the company’s arsenal, we knew we had to make a change. Fortunately, Lyle came along just in time, with his 6’8″ wingspan and two-inch heels on his work boots, and made all of our stepladders obsolete. Another native of downeast Maine, Lyle graduated from Skidmore College in upstate New York in 2015, and moved to Portland to hone his chops as a metalworker. It’s taken him no time at all to meld his artistic sensibilities, jeweler’s eye for detail, and that enviable reach into a formidable set of carpentry skills. Even as he grows as a carpenter, Lyle is continuing to explore new materials and techniques on his work bench at home, too, producing a variety of jewelry, clothing, and art all made to his exceptional standards. Those skills working with his hands, combined with a mental archive of movie quotes and wacky accents to rival Corey’s, make Lyle the perfect addition to the BenCo family. When he’s not adding blocking to his work surfaces until they’re so high that no one else can use them, sewing a pair of work shorts ever more perfect than the last, or making a stunning piece of jewelry from a scrap piece of copper ducting, Lyle could be improving his cat’s hybrid indoor/outdoor playground, or… actually, he’s probably working on those shorts.